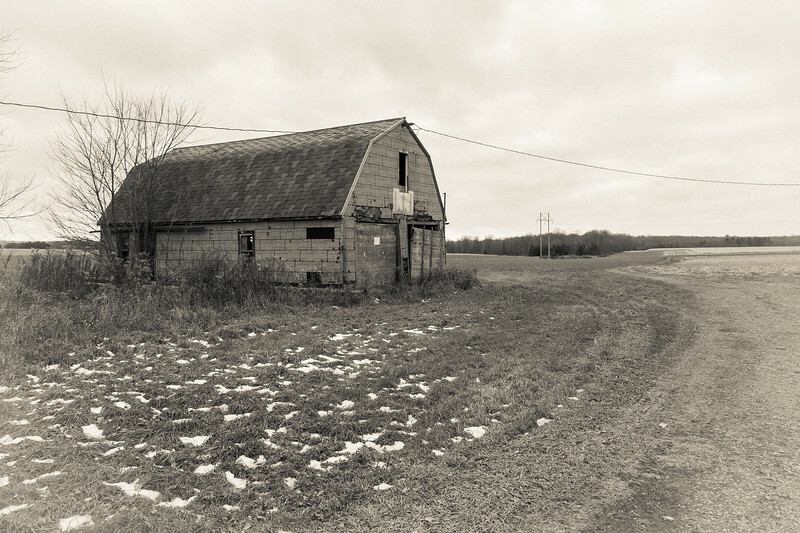 It isn’t often that I go for such an obvious effect, but with this forlorn old farm, it seemed fitting. 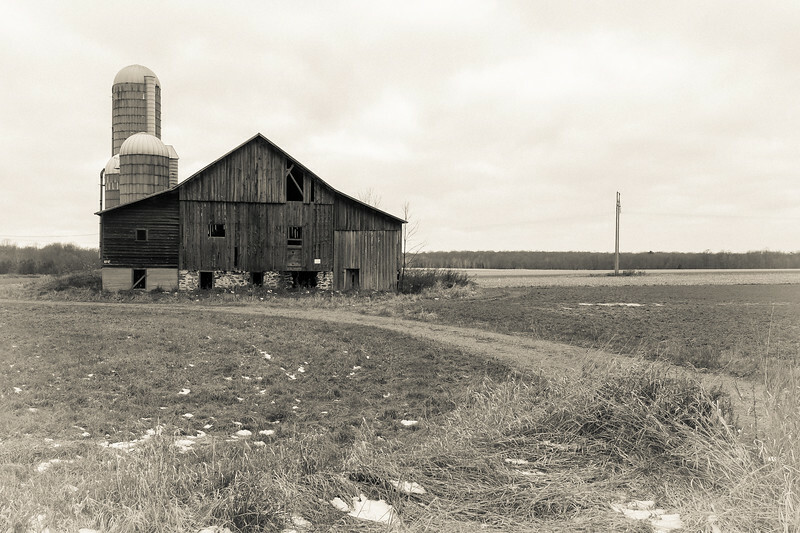 It’s so sad that so many family farms are wrecks now. The families scattered, probably ill-prepared for any sort of life or work off the land. Since it was windy and cold, I took a documentary approach with the series. Looking to show it as it is without adding any drama to an already grim presentation. Just a little light vignette to a medium sepia treatment and a tiny bit of grain added in. And as usual I didn’t go into any of the buildings. They did affect me though and how I think no matter how long I live in Wisconsin, how little I will grow used to it. 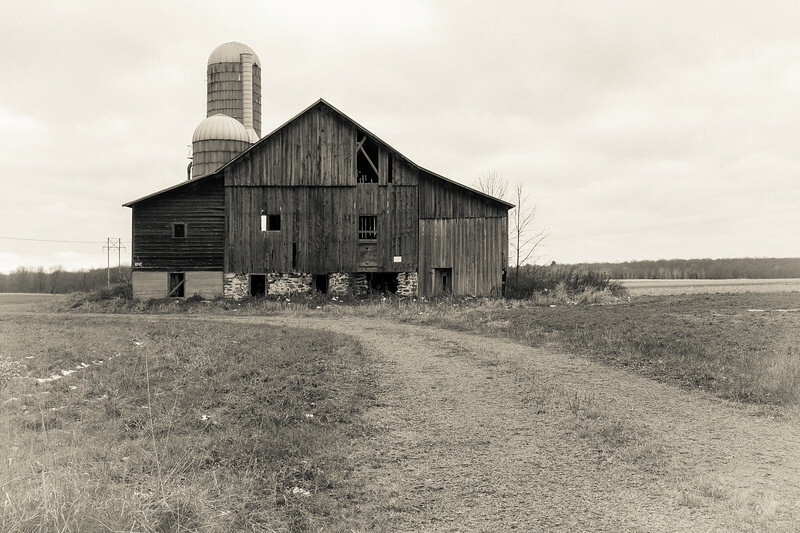 It is sad how many of these family farms are no more. 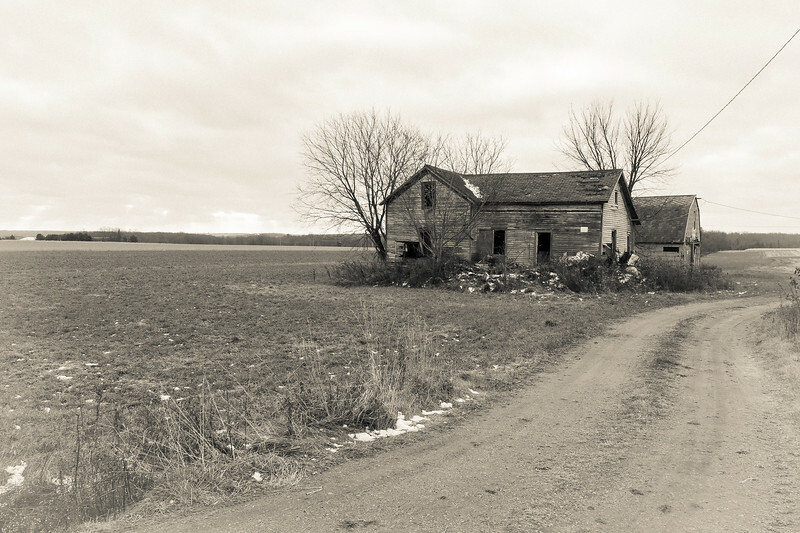 In 1975 I accompanied a friend back to the by then long abandoned farm in Ohio where he grew up. I took two of my favorite portraits of him inside the farmhouse using only the light coming in the window. His memories of it are less fond — hours spent on the daily chores tending to the animals. We returned there this November. The farmhouse is gone, but the land is still farmed. (I had feared it would be a housing development by now.) 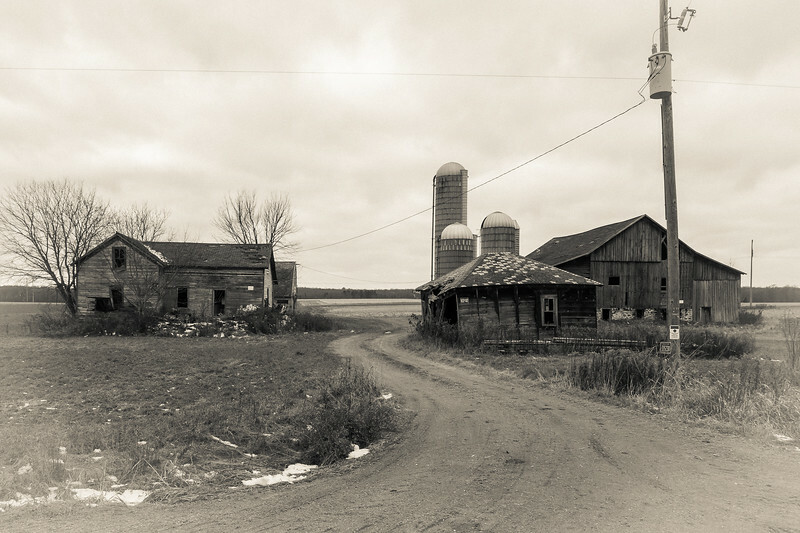 Along our drive, we passed many seemingly thriving farms with large, new silos, etc.